Church of the Apostles began as a part of the Anglican Mission in America (AMiA), the American missionary jurisdiction of the Anglican Church of Rwanda (PEAR) under (the Rt Revd) Chuck Murphy. In a season of challenge, we decided to remain with Rwanda as a part of PEARUSA In June of 2016 (the Most Revd) Onesphore Rwaje, Archbishop of Rwanda, formally transferred all three networks of PEARUSA to the Anglican Church in North America, and its archbishop, (the Most Revd) Foley Beach. 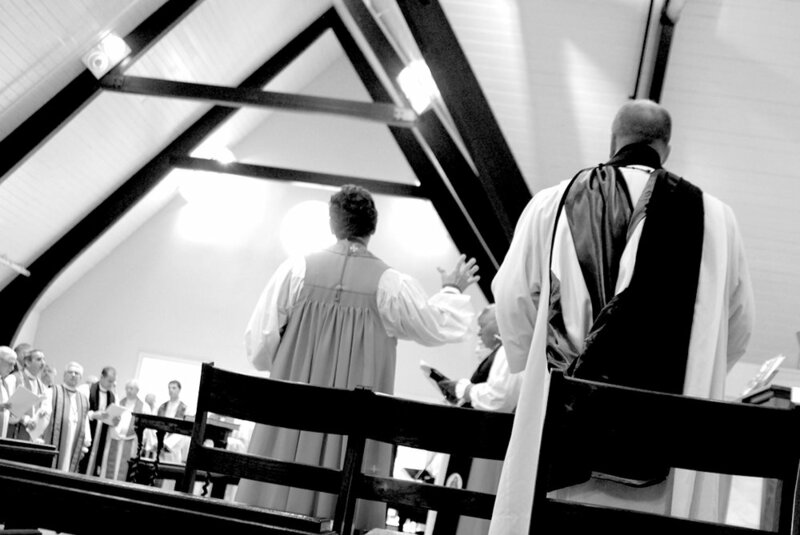 The clergy and churches in Bishop Bryan’s network chose to affiliate with the Diocese of the Carolinas. Bishop David was elected Suffragan Bishop (a type of assisting bishop) of the Diocese. He serves under the diocesan bishop, (the Rt Revd) Steve Wood. Bishop Wood was elected the first Bishop of the Diocese of the Carolinas by the College of Bishops on June 5, 2012, and consecrated on August 25, 2013. He was previously installed as Rector of St. Andrew’s Anglican Church in Mt. Pleasant, SC on September 1, 2000. Under Bishop Wood’s leadership, St. Andrew’s was described by the Charleston Post & Courier as, “one of the Lowcountry’s biggest church success stories,” growing to a membership of more than 3200 and planting new churches in Goose Creek, SC and downtown Charleston. 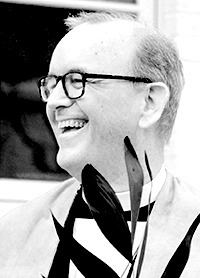 Bishop Wood earned a Bachelor of Arts degree in History from Cleveland State University in 1986, and completed his priestly formation at the Protestant Episcopal Theological Seminary in Virginia where he earned a Masters of Divinity. Bishop Bryan was consecrated a bishop at the Cathedral Church of the Apostles in Columbia, SC on the 18th of September, 2013 to serve as the bishop for Southeast PEARUSA. In May, 2016, Bishop Bryan was elected Bishop Suffragan to the Diocese of the Carolinas. He also serves as Assisting Bishop to the Gulf Atlantic Diocese and the Anglican Diocese of the South. 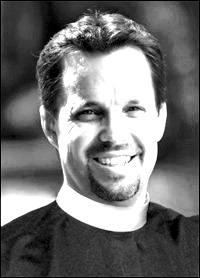 Bishop Bryan is a graduate of the University of Florida (BSBA ’79), and Trinity School for Ministry (M. Div. ’83) where he has continued post graduate studies. He has been in ordained ministry for 33 years, serving several churches in Florida and South Carolina: St. Michael’s Episcopal, Orlando, FL, Assistant Rector; Church of the Good Shepherd, Jacksonville, FL, Associate Rector; Church of St. Luke and St. Peter, St. Cloud, FL, Rector; All Saints Church, Pawleys Island, SC, Sr. Pastor; Christ Church, Murrells Inlet, SC, Church Planter & Sr. Pastor/Rector. Bishop Bryan and his wife, Nancy, have been married for over 30 years and have three grown children: Collins (Ali), Tricia (Nic) and Duncan (Hayley).